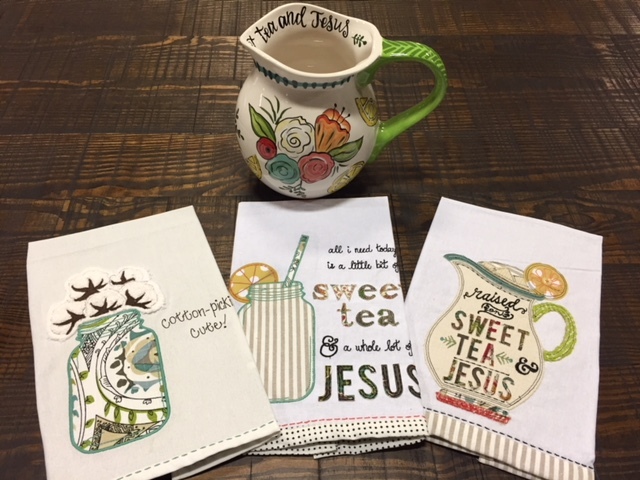 Sweet tea and Jesus towels, super cute collection. The pitcher is vibrant in color and the inside says sweet tea and Jesus. The kitchen towels are soft with embroidered details and quotes on them.